Here is a vocal exercise to work on your pitch accuracy and your vocal flexibility so you can improve your singing. You probably already know that pitch accuracy is essential for a good or great singing. If we sing out of pitch, we either sing different notes that are not in the original melody nor in the song key OR we sing slightly down or up the note (aka singing flat or singing sharp) and it is not pleasant to hear! It happens to everyone even to the best of us and that’s why, as vocalists, we keep practicing our whole life. Imagine the note is a dart target. At first, you’re not going to hit the center. But after some practice, you’re going to be better and you’ll hit the target more often. It is the same with singing in pitch. The more you’ll practice singing in pitch, the more you’ll hit the heart of the note. That way, you won’t sing flat (slightly down) nor sharp (slightly high)! Vocal flexibility can also be called vocal agility. It is a quality that gives singer the ability to sing runs, trills… The vocalist can then sing very fast musical patterns of several notes linked to each other (legato) accurately. Vocal flexibility is a kind of advanced technique but the sooner you’ll train your vocal folds to it the better. Some day you’ll be able to sing more melodically complicated passages. Record yourself. Start in your mediums, choose a pattern with several notes, sing it at a normal speed. Once you master that run, increase the speed. Stop and go back as soon as you feel the notes are not that in pitch or that it’s difficult to link them. Repeat! You could include this exercise for pitch accuracy and vocal flexibility as part of your daily routine. 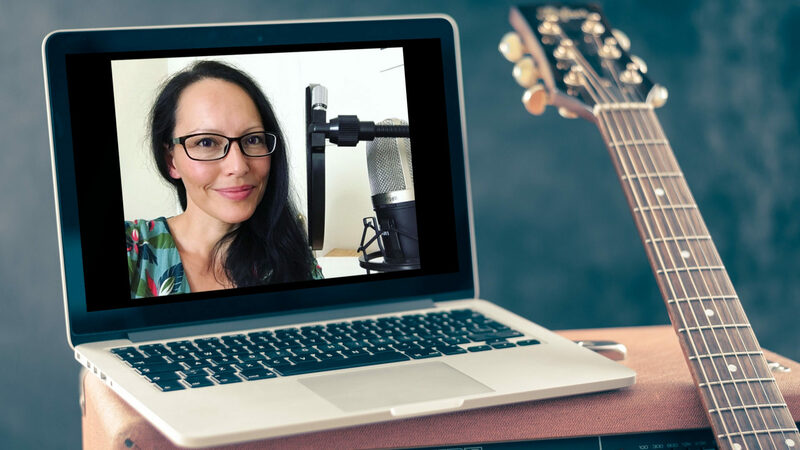 Just after a quick warm-up like those of my 7 Day Vocal Warm-Up online course. If you enjoyed the video and the exercise, I’d be grateful if you would share it or take a second and leave a comment. Your taking a minute to do this allows me to help more people with this vlog, so I really appreciate it.